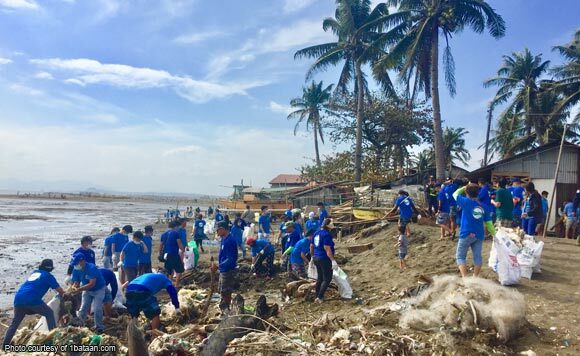 The weekend cleanup of Manila Bay led by local leaders in Mariveles, Bataan seems to have yielded a positive result: 980 sacks of trash were removed from the polluted waters. Second District urged the local communities to start the battle for a cleaner Manila Bay by raising awareness at home. “My personal commitment to save Manila Bay starts from teaching my own family on ways to contribute to environmental protection. Educating my family is a good start and I encourage all families to do the same to sustain our efforts,” said Garcia. For Mariveles Mayor Ace Jello Concepcion, proper waste segregation should be practiced not only in homes but also in big industries, especially in the Freeport of Bataan. It takes a village to save Manila Bay!